Since the MVAT Foundation was first conceived in 2007, its purpose has been clear, to support American veterans, their families, and the veteran community in an impactful way. As the foundation grew, MVAT developed the network and expertise to identify organizations worthy of the foundation’s support and investment. We are extremely proud of our partners and their success on the behalf of the men and women who served. We are equally pleased that now, ten years after our inaugural Los Angeles golf tournament fundraiser at the MountainGate Country Club, MVAT’s own veteran serving program, Heroes Linked, is furthering our mission in support of veterans, transitioning service members, military spouses, and Gold Star families on a national scale. Every year, more than 100,000 new veterans leave military service and join the American workforce. Our commitment to serving these noble young Americans is steadfast. We are grateful that our partners and supporters recognize the need for Heroes Linked and stand with MVAT as we fulfill our long-standing mission to provide needed services where traditional resources have fallen short. 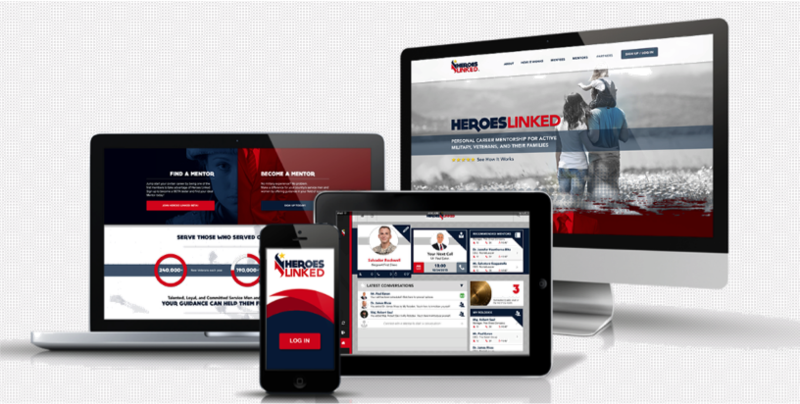 Heroes Linked is a web-enabled platform providing career advice, professional development, and mentoring between veterans and volunteers working in the private sector. The program experienced tremendous growth in 2017, which included advances in program visibility, platform functionality, customer service, and user engagement. Our military service members are trained and educated to be the best of the best. This fact does not dissipate when a man or woman leaves military service. 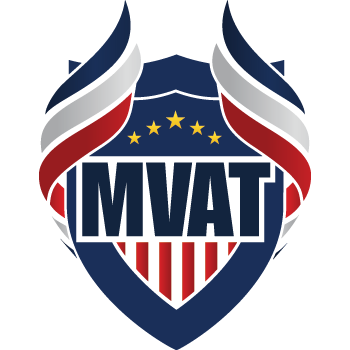 At MVAT, we believe veterans are an asset to the businesses that hire them and, as a group are, in fact, exemplars of the American ideal of self-achievement and resourcefulness. 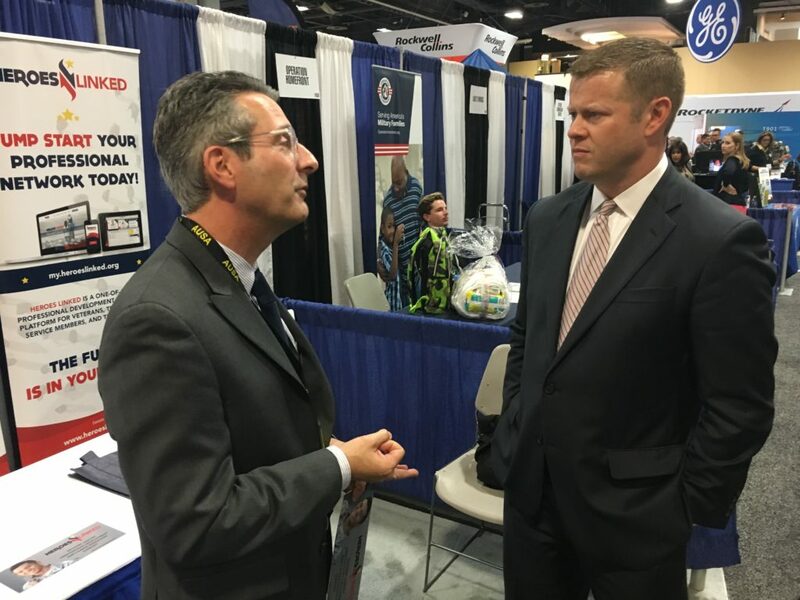 MVAT Executive Director James Colbert (on left), briefs Acting Army Secretary Ryan McCarthy (now Under Secretary) at the Association of the United States Army (AUSA) annual exposition at the Washington, DC Convention Center, October 10, 2017. Over the course of the 3-day event, MVAT representatives briefed more than 100 attendees on Heroes Linked and shared information with hundreds more. Unfortunately, all too often, veterans do not encounter a level playing field in the job market when they separate from the military. An unintended consequence of their time in service is an insufficient professional network when they separate, whether that have served four years or forty years. And this hinders their post-military career, which for the vast majority of veterans, will last far longer than their time in uniform. To address the issue, MVAT created Heroes Linked. First and foremost, Heroes Linked is a connection point, a crossroads, where veterans, transitioning service members, and military spouses can research, meet, and learn from a network of everyday Americans who are volunteering their experience and knowledge of the jobs they’ve held, the companies they’ve worked for, the industries and sectors occupied by those employers, and even their places of residence to help position the veteran for a successful post-military career. Within Heroes Linked, we have been curating these populations carefully and purposefully. As our participants build user profiles and interact with their counterparts, we have been monitoring system operation, and updating and refining the platform to ensure optimum performance and user experience. MVAT is always looking for companies to bring Heroes Linked in-house as a corporate social responsibility program. This provides an opportunity to engage employees, build return on investment (ROI) for the supporting company, and provide a dedicated stream of volunteers. Through Heroes Linked, every MVAT supporter is helping American veterans offset the unintended consequence of their military service: an insufficient professional network when they separate from the active duty military that hinders their post-military career. Of great importance is the fact that Heroes Linked’s success has been due, in great part, to the program’s deep roots in the veteran and business communities around the country. Currently, more than 20 industries are represented by Heroes Linked volunteer advisors. They include Computer Programing/Design, Real Estate/Property Management, Healthcare, Environmental Science, International Development, and Insurance. There are no limits. If you have held a job, then there will be a veteran who can learn from your experience. As MVAT friends and supporters, we encourage you to build profiles on Heroes Linked if you have not done so already. And please encourage your friends and colleagues to do so as well. If you have contacts at companies and organizations you would like to see become involved with Heroes Linked, please let us know. Just send an email to info@mvat.org. After all, Heroes Linked is about growing and strengthening our networks and ourselves. We appreciate your support for MVAT and we look forward to sharing many more successes in 2018.